UPDATED Ofcom has today confirmed it's taking away more of the Freeview TV frequency band for use by mobile broadband services from the beginning of the next decade. The regulator has pledged to secure the last remaining TV frequencies for use by Freeview without the need for another 'switchover'. The decision allows mobile network operators to deliver mobile broadband using some of the frequencies currently used for digital terrestrial TV services, such as Freeview, and wireless microphones. An auction to determine which operators will take over the 700 MHz band will take place later this decade. These frequencies make up the 700 MHz frequency band. The 800 MHz was handed over to mobile network operators in 2013, when in the summer the last Freeview services in Scotland were moved out of the band. Ofcom says consumers and businesses "should get faster and cheaper mobile data services" as a result of the frequency re-allocation, although that may realistically depend on whether the same few mobile network operators snap up the extra frequencies. Ofcom’s objective is to make this happen by the beginning of 2022, and possibly up to two years earlier. Users of wireless microphones in the programme making and special events (PMSE) sector, such as theatres, sports venues and music events, also use some of the affected frequencies. Ofcom says it will ensure that they continue to have access to the airwaves they need to deliver their important cultural benefits. The move to clear 700 MHz from TV started in countries such as the USA, and in the meantime most of the world has pledged to use 700 MHz for mobile broadband services. Mobile network operators are keen to use these frequencies, as they penetrate buildings better and serve a wider area than their services on traditional mobile phone frequencies. What does it mean for viewers? For viewers, it will mean that many more will need special filters installing to block interfering signals from the mobile services, as the changes will bring mobile broadband services even closer to more of the UK's terrestrial TV frequencies. In addition, Freeview users in many areas will need to retune at the appointed time for their region (yet to be determined) when TV services will need to move down to lower frequencies. Newer Freeview HD devices and YouView boxes have been designed to make the retuning experience easier. Some services may only be available with a Freeview HD device or YouView box. Ofcom has indicated that if there continues to be "medium to high demand" for Freeview capacity in the coming decade, further multiplexes will have to transfer to DVB-T2, meaning older Freeview boxes won't receive some channels. There is little chance of Ultra HD services having enough capacity to launch on Freeview, with satellite, cable and IPTV services likely to become the focus of UHD in the 2020s. However, there is sufficient capacity to allow further channels to migrate to HD transmission. Currently, some households in areas where 4G has launched right next to local Freeview frequencies, such as parts of Brighton, have had to get a filter to reduce interference. At present the impact has been limited, with market leader EE's 4G service primarily using frequencies further away from Freeview, and roll-out of 4G on the frequencies nearer to Freeview in its early stages. Mobile network Three has been allocated the 4G frequencies closest to Freeview frequencies, but is the furthest behind rolling out 4G at 800 MHz. At800, an organisation set-up by mobile network operators to mitigate inference to Freeview from mobile signals is responsible for providing affected households with one free filter. Many TV aerials are designed to receive the full TV frequency range, including the 700 and 800 MHz frequency bands. As aerials are not replaced that often, it will take a long time before all TV aerials on rooftops are changed over to variants that are only optimised for the remaining part of the Freeview TV frequency band. What about unlicensed mics in 863-865mhz?? Good news for Freesat & $ky as the future of DTT 'true Broadcasting' is compromised or replaced by mobile broadband... ironically to be used by viewers in outlying areas to stream programmes (a form of narrowcasting) unavailable on DTT (that is free to air and free of mobile data contract). The recent move by Film4+1 to T2 only was the first of many? Freeview HD boxes are cheap, just get a box if you want Film4+1. The only way to preserve a full Freeview service is for more muxes to move to DVB-T2. Yes I can't complain, as a retailer - but my customers may be running out of sockets or space on their wall mounted TV's. Ah yes, running out of HDMI inputs, or mains sockets, or not wanting clutter can be an issue. OFCOM just don't care - and they seem to forget that customers still watch that vast majority of their TV on their TV - not 4 inch mobile screens! Twice in the last couple of years we've had to have our aerials reconfigured due to changes made to Freeview in order to keep mobile companies happy. What Freeview needs to do now though is what it failed to do before the launch of the first HD mux and effectively lock down to ensure all current channels can continue broadcasting as muxes switch to T2 rather than selling off every single space that becomes available to the first shopping channel in the queue. Why can't they start turning 2G off? Then, use them frequency's for 5G in the future? The way we''re going we will have 2G, 3G, 4G and 5G all running at the same time! 3G will disappear and the frequencies be refarmed to 4G, but 2G will continue. 2G is more robust for coverage range and is all you need to make a call, which matters in emergencies and the like. 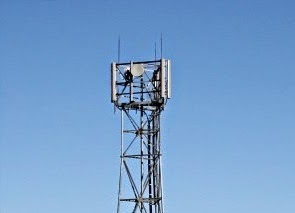 On the top of the Pennines I can get 900MHz 2G all way across, but there's no other coverage up there. The dirty secret is that you can't yet do voice calls on 4G. The plan is to treat a voice call as packetized data, as Voice-over-IP does - the technology is called Voice-over-LTE or VoLTE. However, that's very different from essentially reserving capacity for each voice call, as 2G and 3G do ('circuit-switched' rather than 'packet-switched'). Handing off a call from VoLTE to circuit-switched networks is hard, so they've largely punted on it so far - when you make a phone call, your connection falls back to either 3G if available, or 2G if not, and VoLTE isn't used. Many current '4G' handsets don't even support VoLTE, even if the network supports it. 1. Refarm all 2G sites to 3G. The majority of the population now has 3G equipment; you'd have to possibly subsidise purchase of a 3G phone for the few 2G holdouts, but you can now get decent smartphones for under £70, and last year's models may be cheaper (I just saw a Nokia Lumia 520 at O2.co.uk for £49.99). It's a little tricky because 3G requires 5 MHz channels, while 2G used 200 kHz channel spacing, so you have to turn off a block of 25 channels. Those 25 channels may not all be available at the site you're trying to refarm. 2. Get VoLTE hand-off working and launch VoLTE. That makes phone calls possible at 800 MHz. It should also free some 3G capacity. 3. Wait a few years for most people to have upgraded their phones to VoLTE-capable 4G. 4. Start re-farming all bands - 900, 1800 and the original 3G band at 2100 MHz - to 4G. 4. Again, offer 3G-only holdouts a free upgrade to 4G. 4G would have to be an automatic feature of the contracts rather than a premium option at this point. If they still need more spectrum after all that - which will probably take at least 10 years - then we can start to consider releasing 700 MHz. But I think it's hugely unfair to cripple terrestrial broadcasting to waste it on inefficient mobile data services. Ofcom's remit is efficient use of spectrum: by transferring 700 MHz now they're just encouraging the mobile networks to be wasteful. Will a change in frequencies have any implication on PSB (Freeview Light) / relay transmitters? Will Arqiva etc finally spend some of their additional icone & upgrade them? Why can't the mobile phone operators stop being greedy and start using common sense, if they wand extra frequencies why not use the 900MHz send of the spectrum? Instead of trying to stop the public from being able to watch TV on free view or it's equivalent in other countries.